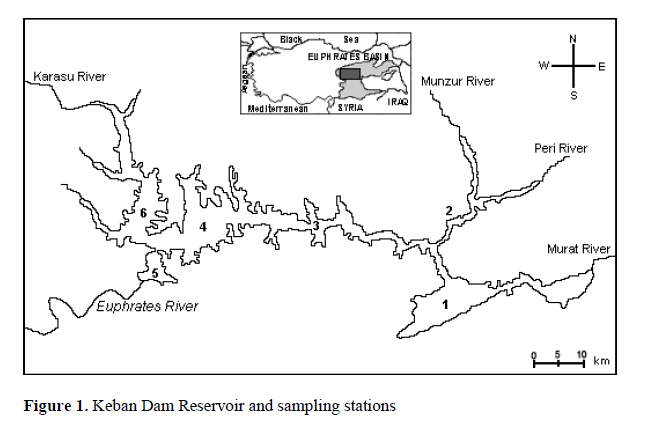 This study aimed to reveal the vertical and seasonal fluctuations in water quality of Keban Dam Reservoir, which is the second largest dam of Euphrates Basin in Turkey. Temperature, dissolved oxygen, pH, electrical conductivity, some cations and anions content were monthly monitored in water column between 0 and 30 meters over a twelve-month period from Febru-ary 2010 to January 2011. The thermal stratification was observed between June and August. Epilimnion extended up to depth of 10 meters and hypolimnion occurred below a depth of 20 meters. A decrease was recorded for dissolved oxygen below the epilimnion whereas for cal-cium and bicarbonate in the epilimnion during thermal stratification. The other cations and ani-ons were nearly uniform in water column. The study showed significant relations of physico-chemical variables in water column of the reservoir. Dam reservoirs, which are constructed for many reasons including flood control, navigation, water storage for water supply and irrigation, hy-dropower, fisheries and recreation, show the characteristics of both rivers and lakes. The physicochemical and biological characteristics of water in reservoirs are mostly influenced from seasonal variations of inflowing river water, wa-ter level fluctuations, and the hydraulic residence time (Gikas, 2009). In a reservoir, currents and the structure of the thermocline mainly control the vertical distribu-tion of heat, dissolved substances, and nutrients in the water column. Understanding thermal stratification is of great importance for the pattern of mixing in lakes and reservoirs (Elçi, 2008). She exposed that stratification alters velocity pro-files drastically and thus affects water quality in the reservoir and the water-quality parameters are correlated with temperature profiles in the verti-cal. Recently, Lindim et al. (2011) determined that the particular geomorphological and hydro-logical characteristics of the reservoir together with local climate features are responsible for nutrient distribution. They showed that wet sea-son ecology governing feature is the nutrients in-put through the main tributaries whilst dry season ecology is governed by water thermal stratifica-tion. Therefore, determination of seasonal mixing and stratification patterns are contribute to better understanding of vertical changes in water qual-ity parameters. The Keban Dam Reservoir, which was formed at the confluence of the rivers Munzur, Peri, Mu-rat and Karasu, is among the most notable reser-voirs of the world with a storage volume of about 30.6 billion cubic meters. The maximum water depth is 163 meters at the high supply level (Ak-bay et al., 1999). The maximum operation level of the reservoir is 845 meters above the sea level. The surface and drainage areas of the reservoir are 675 square kilometres and 64100 square kil-ometres respectively (Soyupak et al., 1999). Topkaya, 1992; Topkaya and Şen, 1992). So-yupak et al. (1999, 2003) modelled the spatial and vertical changes in dissolved oxygen and to-tal phosphorus. Although some studies have been carried out mostly on water pollution and nutrient loading, there is limited data with regard to physicochemical changes in water column of the reservoir. In this context, this study aimed to investigate the vertical and seasonal fluctuations of physico-chemical properties, namely temperature, dis-solved oxygen, cations and anions, in water col-umn of Keban Dam Reservoir. The study was carried out over a twelve-month period from February 2010 to January 2011. The samples were collected from five dif-ferent depths (0, 5, 10, 20 and 30 m) at the six monitoring stations (Figure 1). Temperature (T) and dissolved oxygen (DO) was measured in situ using a portable instrument with optical sensor (HQ30D model), while pH and electrical conductivity (EC) using HQ40D model (Hach, Loveland, USA). Bicarbonate (HCO3-) and carbonate (CO3-2) were determined with potentiometric titration (Radtke et al., 1998). Lithium (Li+), sodium (Na+), potassium (K+), cal-cium (Ca+2), magnesium (Mg+2), ammonium (NH4+), nitrite (NO2-), nitrate (NO3-), fluoride (F-), chloride (Cl-), bromide (Br-), phosphate (PO4-3) and sulphate (SO4-2) were determined using a Di-onex ICS-1000 ion chromatography system (Di-onex, UK) . Normality of data was checked by Shapiro-Wilk’s test. The differences of variables with normal distribution among the sampling depths were tested using analysis of variance (ANOVA), whereas in case of non-normality, the signed rank test (Wilcoxon) followed by Student’s t-test was used. The mean values of monitored variables and their correlations are presented in Tables 1 and 2, respectively. Temperature showed statistically significant differences among the depths (F=8.13, p<0.001). These differences were also reflected by seasonal and vertical variations in RWCS (Figure 2). From February on, temperature dis-played a homogenous trend until mid-spring and then thermal stratification occurred between 10 and 20 meters during summer. In agreement with a common phenomenon that epilimnion changes from 2 m to >20 m in lakes (Goldman and Horne, 1983), we observed the epilimnion between depths of 8 m and 10 m in the present investiga-tion in Keban Dam Reservoir (Figure 3). Like-wise, the mean depths of epilimnion in the deep subalpine lakes Orta, Como, Maggiore, Garda, Iseo and Lugano were 6.4 m, 7.7 m, 6.9 m, 10.0 m, 5.3 m, and 6.3 m respectively (Ambrosetti and Barbanti, 2001). Figure 2: Seasonal variation of relative water column stability (RWCS) in Keban Dam Lake during study period. Figure 3: Depth-time contour plot of temperature in Keban Dam Lake during study period. The stratum down to 20 meters depth below epilimnion exhibited relatively marked thermal discontinuity, suggesting metalimnion which is characterized by a steep thermal gradient with a temperature decrease more than 1 °C per meter (Wetzel, 2001). In Lake Orta, the rises of thermal gradient reached 2.93, 3.07 and 2.73°C respec-tively in July, August and September (Ambrosetti and Barbanti, 2001). However, the rises in the thermal gradient between depths of 10 and 20 meters in June, July, August and September were 0.41, 0.54, 0.53 and 0.29 °C respectively in Ke-ban Dam Reservoir. Although these values ap-pear to be lower than the widely accepted gradi-ent (>1 °C per meter), RWCS parameter in 10-20 m depths was separated from the other depths as suggested above. Hypolimnion in Keban Dam Reservoir lay below depths of 20 meters during the study period. It was observed a breakdown of thermal strati-fication in October. After completion of mixing from convection currents, temperature in water column was uniform from November to early- spring (Figure 3). pH was higher in epilimnion than hypolim-nion, but no significant differences were detected in electrical conductivity among the monitored depths. Unexpectedly pH did not show strong correlations with cations and anions, but there was a significant correlation, although weak (r2= 0.50), between electrical conductivity and cal-cium. The strongest correlation of electrical con-ductivity was detected with sulphate (r2= 0.65), the second major anion in the reservoir. While vertical distribution of dissolved oxy-gen during the mixing and stagnation periods was relatively uniform, the concentrations in water column gradually decreased from mid-spring to late autumn (Figure 4). However, low oxygen saturation values were observed below the epi-limnion (Figure 5) which is a typical characteris-tic of mesotrophic/eutrophic lakes (Wetzel, 2001). Nevertheless, there was no anoxic zone down to 30 m depths. Figure 4: Depth-time contour plot of dissolved oxygen in Keban Dam Lake during study period. 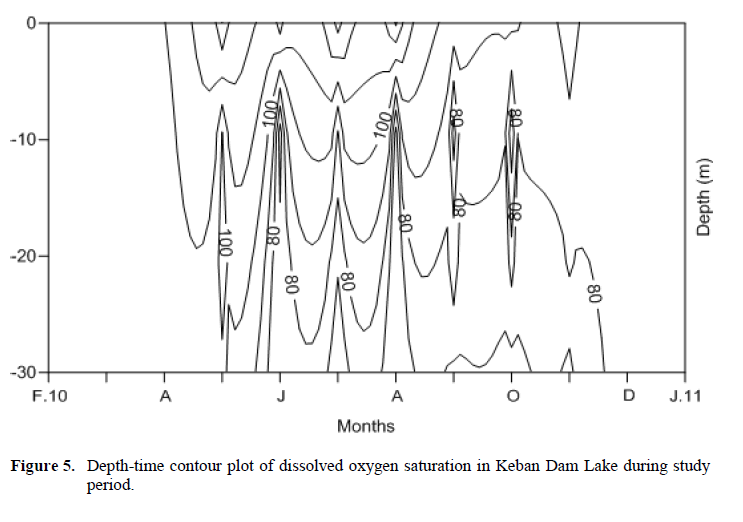 Figure 5: Depth-time contour plot of dissolved oxygen saturation in Keban Dam Lake during study period. A general trend with Ca+2>Mg+2>Na+>K+ and HCO3->SO4-2>CO3-2>Cl- was determined in Ke-ban Dam Reservoir. It is well-known that there may be distinct tendencies for composition of major cations and anions in lake waters depend-ing on various factors such as drainage basin ge-ology, atmospheric sources, precipitation and evaporation, human activities, exchange with sediments within the water body etc. (Goldman and Horne, 1983; Wetzel, 2001). The tendencies of major cation and anion concentrations in water column of Keban Dam Reservoir are consistent with general trend of open lake systems where the dominance by calcium and bicarbonate ions prevails (Wetzel, 2001). Vertical changes of magnesium, chloride and sulphate were not statistically significant. Alt-hough sodium and potassium showed increasing tendencies in hypolimnion, they were not clearly distinguishable among the depths (Figures 6 and 7). Calcium, dominant cation, highly differed among the depths and was lower in epilimnion compared to deeper parts (Figure 8). The vertical changes in calcium were more pronounced dur-ing thermal stratification, suggesting that an epi-limnetic decalcification took place. 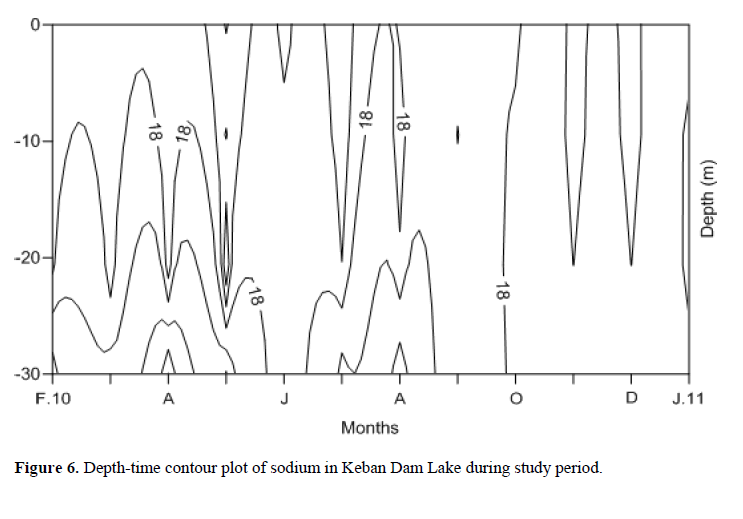 Figure 6: Depth-time contour plot of sodium in Keban Dam Lake during study period. 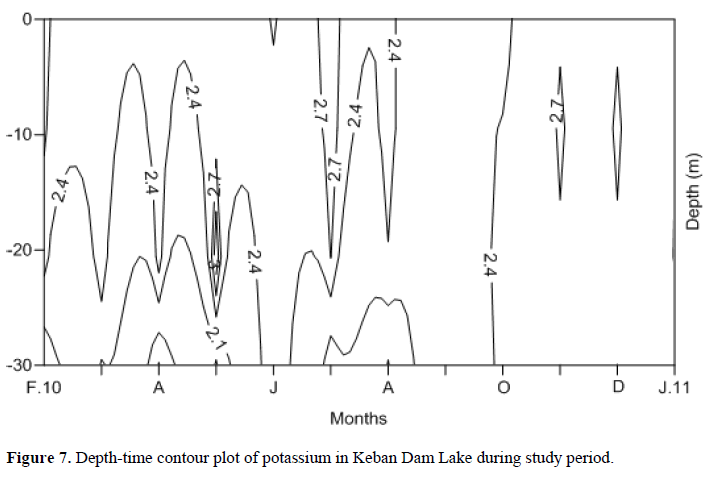 Figure 7: Depth-time contour plot of potassium in Keban Dam Lake during study period. 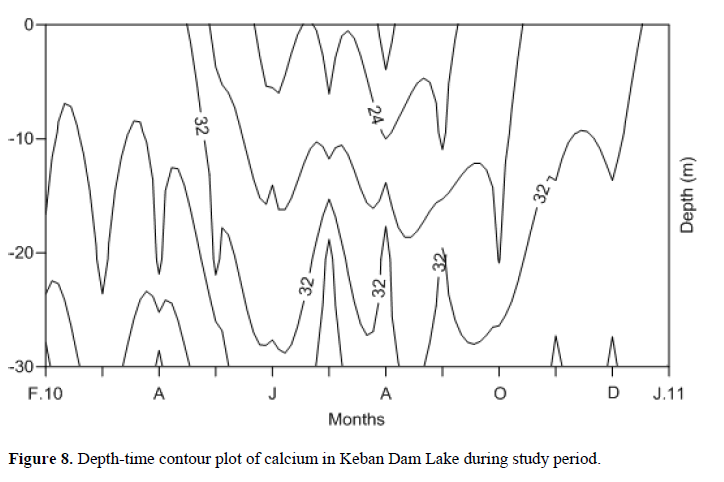 Figure 8: Depth-time contour plot of calcium in Keban Dam Lake during study period.. Similarly, bicarbonate, dominant anion, showed an increasing trend in hypolimnion. De-spite a nearly uniform concentration during mix-ing period, bicarbonate decreased in epilimnion during thermal stratification (Figure 9). This finding implies that the epilimnitic decalcifica-tion in Keban Dam Reservoir occurs. Indeed, there was negative correlations (respectively r2= -0.61 and r2= -0.56) between temperature and these two ions. Wetzel (2001) states that major cations and anions are separated into two types: conservative ions and dynamic ions. Magnesium, sodium, potassium, sulphate and chloride are rel-atively conservative both in their chemical reac-tivity and small biotic requirements under typical freshwater conditions while calcium and car-bonate are more reactive and can exhibit marked seasonal dynamics. Figure 9: Depth-time contour plot of bicarbonate in Keban Dam Lake during study period. Vertical changes of minor cation (lithium and ammonium) and anion (nitrite, phosphate, fluo-ride and bromide) concentrations did not exhibit a significant difference in the present study. Ni-trate was significantly higher in hypolimnion, presumably as a result of a few measurements of high concentrations in deep water. A weak but significant linear relation (r2=0.32) between ni-trate and phosphate which are available forms of main nutrients for algae may be indicative for active photosynthesis down to 20 m depth. The present investigation indicates that a clear thermal stratification between June and August occurred in Keban Dam Reservoir. Dissolved ox-ygen concentrations in water column were rec-orded at around saturation levels during winter and mixing periods but decreased in metalimnion and hypolimnion during thermal stratification. The decrease in calcium and bicarbonate indi-cated the epilimnitic decalcification during ther-mal stratification. The other major/minor cations and anions were nearly uniform in water column and they did not exhibit clear temporal and spa-tial distribution patterns. The results of this study revealed significant relations of physicochemical variables, which have not been taken into consideration so far, in Keban Dam Reservoir. The seasonal distribution in water column of dissolved oxygen and major ions determined in this study may also help to explain the seasonal changes in algae and productivity of the reservoir when the other key parameters such as total nitrogen and phosphorus, and chlorophylls are monitored by future studies. DSI, (1983). Keban Dam Reservoir Limnological Report. DSI Printing Work, Ankara (in Turkish). Ekiz, H.I., Özer, D., Çaglar, A., (1988). Pollution of Keban Dam Reservoir surface waters. I. Environment Symposium on Euphrates Basin, Elazig, pp.103-107 (in Turkish). Goldman, C.R., Horne, A. J., (1983). Limnology, McGraw-Hill, New York. 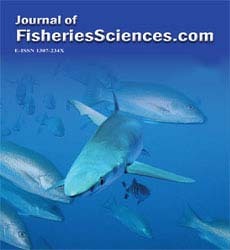 Padisák, J., Barbosa, F., Koschel, R., Krienitz, L., (2003). Deep layer cyanoprokaryota maxima in temperate and tropical lakes, Advances in Limnology, 58: 175-199. 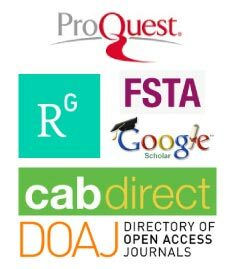 Radtke, D.B., Wilde, F.D., Davis, J.V., Popowski, T.J., (1998). Alkalinity and Acid Neutralizing Capacity, In: F.D. Wilde and D.B. Radtke (eds) National Field Manuel for the Collection of Water Quality Data, U.S. Geological Survey TWRI Book 9, Handbooks for Water-Resources Investigations, Chapter 6.6. Soyupak, S., Yemisen, D., Mukhallalati, L., Erdem, S., Akbay, N., Yerli, S., (1999). The spatial and temporal variability of limnological properties of a very large and deep reservoir, International Review of Hydrobiology, 83: 183-190. Topkaya, B., (1992). Determination of phosphorus in some water resources which polluted to Keban Dam Reservoir, XI. National Biology Congress, Elazig, pp.227-238 (in Turkish). Topkaya, B., Sen, B., (1992). Determination of discharge limit concentrations for eutrophication of Keban Dam Reservoir, XI. National Biology Congress, Elazig, pp.239-252 (in Turkish). Wetzel, R.G., (2001). Limnology: Lakes and River Ecosystems. Academic Press, London.